A tree is a home. A home for birds in their nest. A home for squirrels in their nest. A home for owls in their hollow. A home for rabbits in their burrow under the roots. 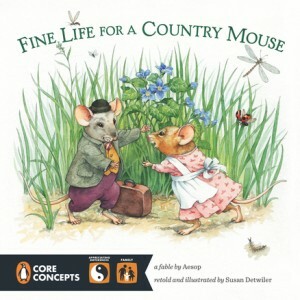 Told in very simple language, the story is one that a first grader can easily read on their own. Of course, teachers and parents will want to read it with the kids the first time just to discuss all the implications. 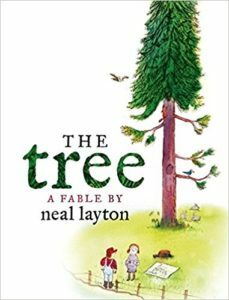 Two humans decide to build a home at the location of a tree, not realizing that their plans would seriously disrupt or destroy the lives of many other creatures. When they come to that realization, they are able to find a way for everyone to live in harmony. The Tree makes the idea of environmental responsibility personal. The humans in the story realize that the animals need their homes and might have emotions too. They do their best to fulfill their own needs while helping the animals and the tree itself. Sharing is the key, and kids can understand this. This is heartwarming and beautiful book. Really? 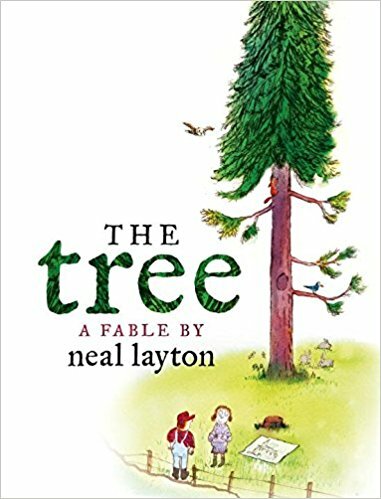 Another Aesop re-telling? Yes, and it’s worth every second spent with it. The illustrations are beautiful and memorable. The text is simple, yet informative. Tillie is a country mouse who lives in a tree trunk and makes everything she needs. After her city cousin, Oliver, visits, Tillie decides to check out the posh world he describes to her. Of course, Tillie decides the country life is for her, while Oliver sticks with the city life. The author is careful not to anthropomorphize the characters too much. The food, furniture, and other items the mice use would actually be available to mice. The clothing maybe not as much. But the mouse paws look like mouse paws. Details in the illustrations add to the modern feel of this ancient tale. A modern car nearly runs over the mice. The trucks, a train, the lay out of the street, and even the straight rows of corn are obviously modern. This book is part of Penguin’s “Core Concepts” program. First graders and up will have a chance to practice literacy skills. This would be a great read aloud. The illustrations are richly detailed and lend themselves to actively spotting the lady bug and looking for other sneaky details. In the meantime, the reader is learning to appreciate what they have and that others may want to live differently. Even within a family, not everyone has to want the same things. Terri Forehand on Launching 1stgradereading.net!